Snap(shot) Judgements are posts that will appear with no real regularity. It’s primarily a way for us to get thoughts and photos up as soon as possible, especially when we have no plan to write a feature-length column on the subject. Here, Gary continues his mea culpa tour for missing the rookie Vendy Awards finalists by paying Mexicue a visit. 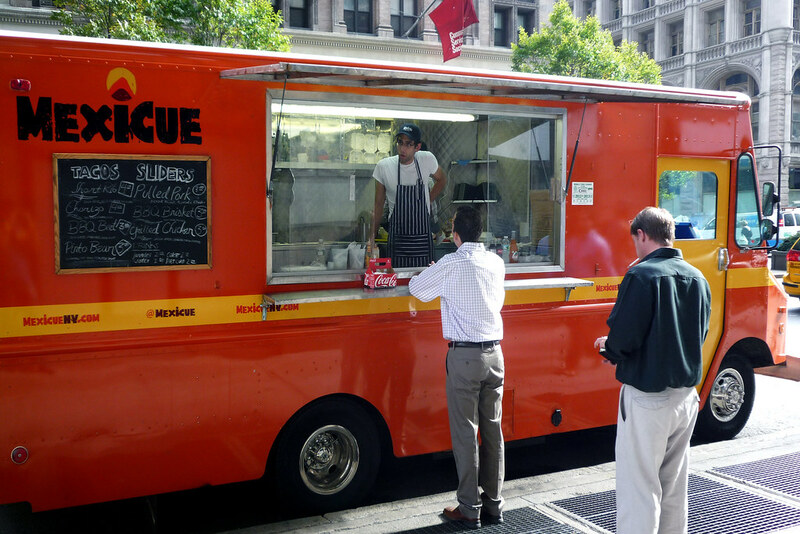 The idea behind the Mexicue truck, self-described as “the sweet, sweet love child of red-hot Mexican cuisine and down-home, barbeque goodness,” is one that’s easily up my alley. I mean, how can it not be? It’s all the combination of the spiciness that makes Mexican cuisine great and the smoky techniques that’s the cornerstone of good, Southern BBQ. It was up for best rookie at this year’s Vendy Awards and, while they didn’t win, there’s always next year’s Vendy Cup for best vendor to strive for.